← Black Stem Borer: Early Monitoring, Chlorpyrifos Pre-bloom Trunk Applications. Ideal for small orchards, estate orchards, on-road access to remote orchards. Manual transmission with 12,000 miles. 4 cyl. 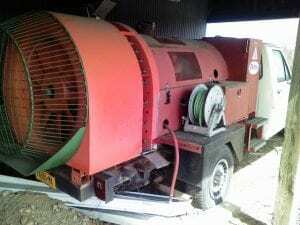 Wisconsin V-465D engine runs fan and Hypro D1504 pump. 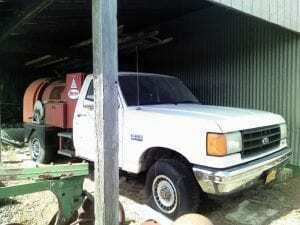 The truck and sprayer are in good and working condition. Call or Email Erica Kane: 845.691.7151 / ek538@cornell.edu for more information.